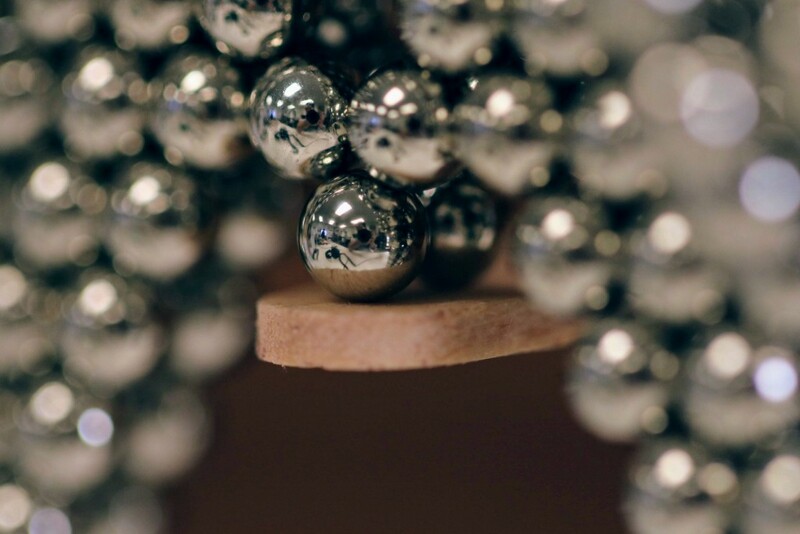 The October 2018 contest is to create a sculpture that balances on two Zen Magnets, on a fixed popsicle stick. Not three, not four, only two Zen Magnets are to be touching the surface, with no other contact. “But two points of contact isn’t enough to achieve positional stability!”, you say? The trick is to ensure the center of mass for the entire structure lies below the balancing point in order to achieve stability. First, get yourself a tasty popsicle treat. The normal sized one with a standard popsicle stick, not that dove magnum ultra bar with the thumb sized stick. You’ll know you have the right stick when it’s about 2 Zen Magnets wide, and 23 Zen Magnets long. If you’re among the three thousand getting voting notifications, you already know we just ask people to judge based on their own preferences. Our recommendation is to pay attention to resolution, focus, lighting, background and framing. Sharp, high resolution pictures are preferred. Remember that your thumbnail may be presented among others in a hexagon shaped crop. If you only want to participate in the audience and vote on the winners, subscribe to the “contests” interest on the Zen Newsletter. Sculpture made of Zen Magnets only. No quantity limit. A maximum of two magnets can make contact with the wooden popsicle stick. Use a Standard size popsicle stick. No adhesives, other magnets, or active balancing methods allowed. There will be at least FIVE winners. The prize for first place in this contest will be $100 Zen Credits, usable on zenmagnets.com or neoballs.com. All Zen Credits are also exchangeable for half their value in Bitcoin Cash. Everything you submit goes into the public domain. Of course, the first and foremost requirement is that you have fun! $50 to the sculpture with the most magnets used.